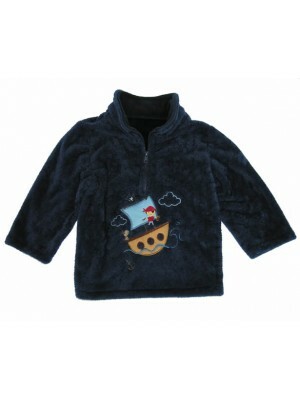 The softest cuddle fleece imaginable, with a half zip and a 3 vehicle applique on the front. Very practical and ideal for those cold winter days. Fully machine washable. 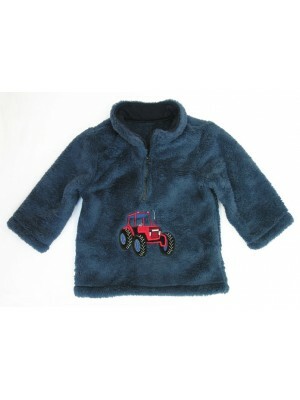 Fabric Content – 100% Poylester - Chunky Plastic Zip Garment Care - Co..
A light and cuddly fleece top perfect to pop over on those cool summer days. 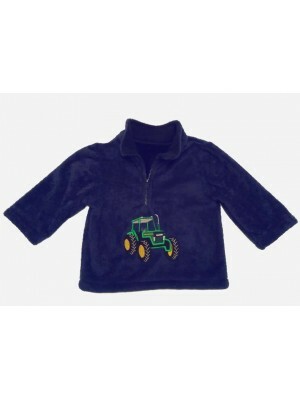 Fabric Content – 100% Polyester - Chunky Plastic Zip Garment Care – Cool machine wash. Can be cool tumble dried ..
A lovely cuddly warm winter fleece with a Green Tractor applique on the front and a half zipper opening at the neck. Fabric Content – 100% Polyester - Chunky Plastic Zip Garment Care - Cool machine wash. Can be cool tumble dried .. 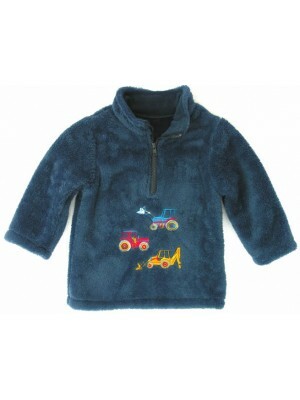 The softest cuddle fleece imaginable, with a half zip and a Tractor applique on the front. Very practical and ideal for those cold winter days. Fully machine washable. Fabric Content – 100% Polyester - Chunky Plastic Zip Garment Care - Cool..